Tempted to try deep shades of blue? Read our tips. 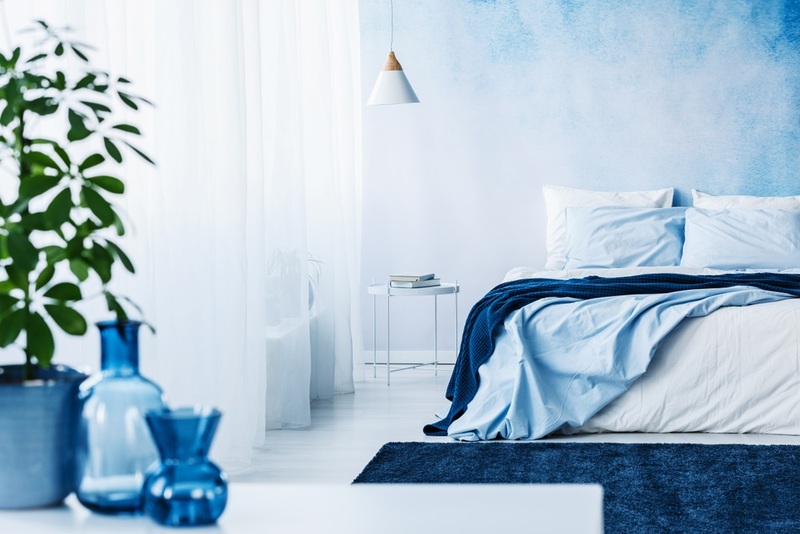 After years of sticking to all-white interiors, homeowners are wanting to paint their walls with dark colours. Deep paint shades, when used properly, give a room a cozy and inviting vibe. One of the easiest colours to work with is navy blue. It’s stylish, bold, and it complements with a lot of neutral colours. 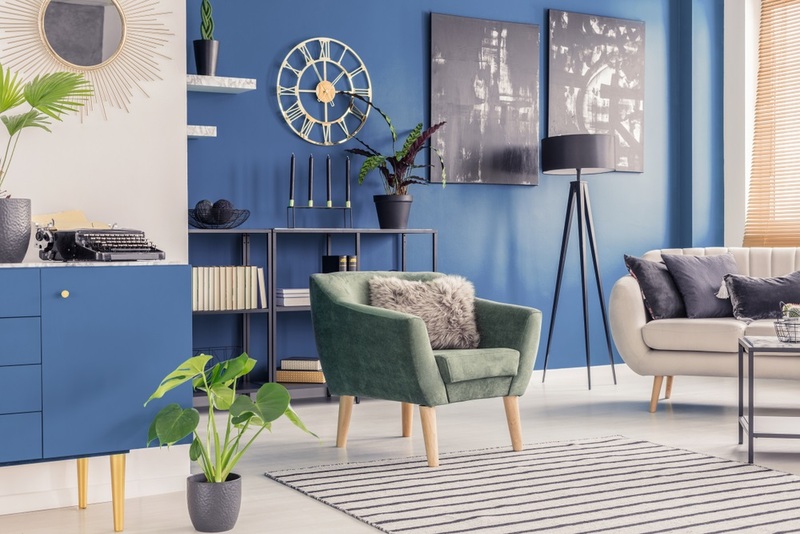 Because of the colours flexibility, homeowners all over Australia are embracing navy blue interiors. In this blog, we listed nine tips which can help you work with this colour. Remember them when redecorating or redesigning your interior rooms. Navy blue walls work beautifully with a bold mustard yellow chair. In this featured showroom, a vintage yellow chair stands out against the deep blue wall and French parquet flooring (chevron pattern) in a harmonious way. If you want to show off an artwork, go for a navy blue wall. Navy is the perfect shade of blue to highlight an art, whether coloured or greyscaled. The light sofa, flooring, rugs, and the plants tie this room together and ensure visual balance. In this room, the designers used the darkest navy blue paint available in their arsenal. They painted it one wall from the floor all the way up the ceiling. They didn’t go too far since the blue wall only exists behind the sofa. Beside it is a white brick wall. Both walls serve as background to the homeowner’s abstract artwork. 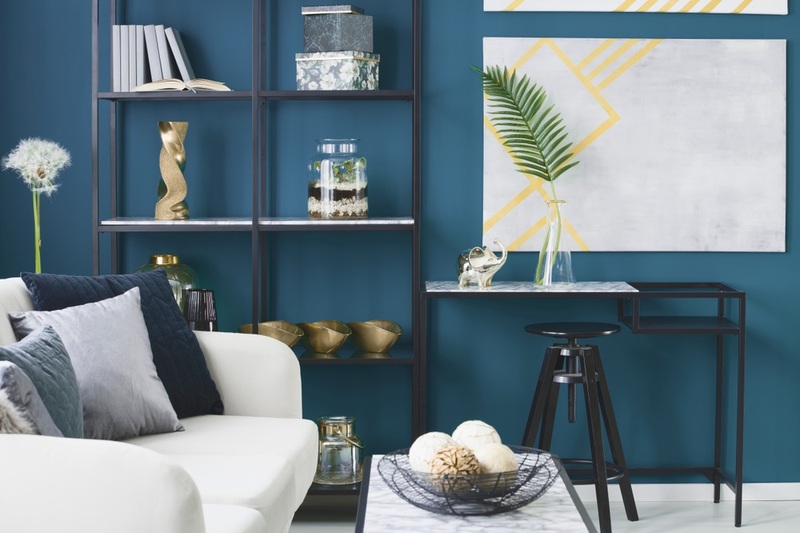 By painting one wall with navy blue, the designers created another architectural feature in the living room. It’s the total opposite of the painted brick wall, therefore there’s an interesting contrast happening in this space. 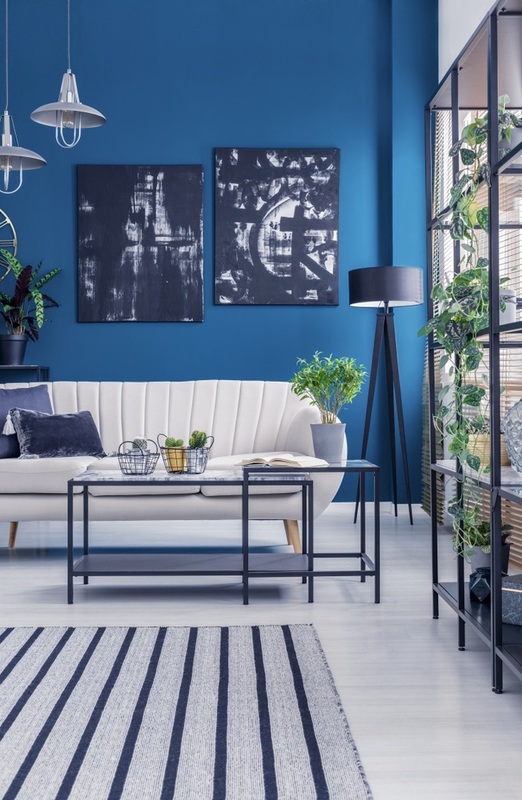 Navy blue rooms look great when paired with grey elements, or when used to enhance a room with a neutral scheme. Here, the designers teamed up navy blue walls with a white sofa, grey pony wall, metal shelves, and wooden furniture pieces. Altogether, the interiors turned out as modern, grounded, calm, and laid-back. 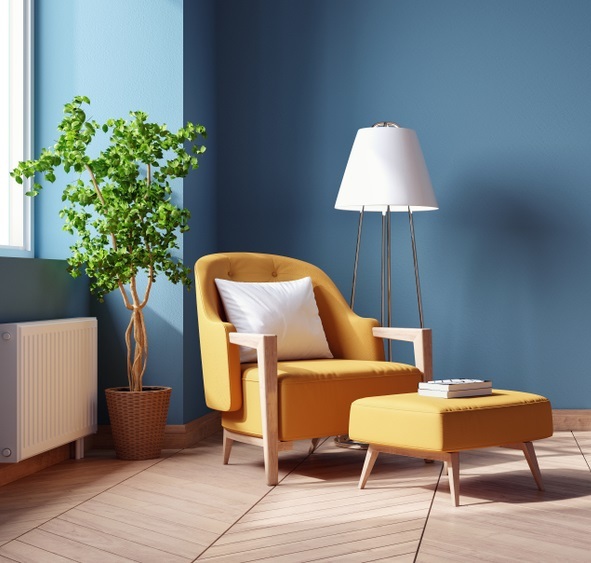 Some people, especially renters, are afraid to paint their walls because they’re afraid to damage the original wall colour. Good thing there are removable wallpapers that come in lovely navy blue colours. Choose one with an interesting design or pattern. Here, the gold lines stand out from the dark, navy blue background. To maintain cohesion, the designers used decorations with a touch of gold. 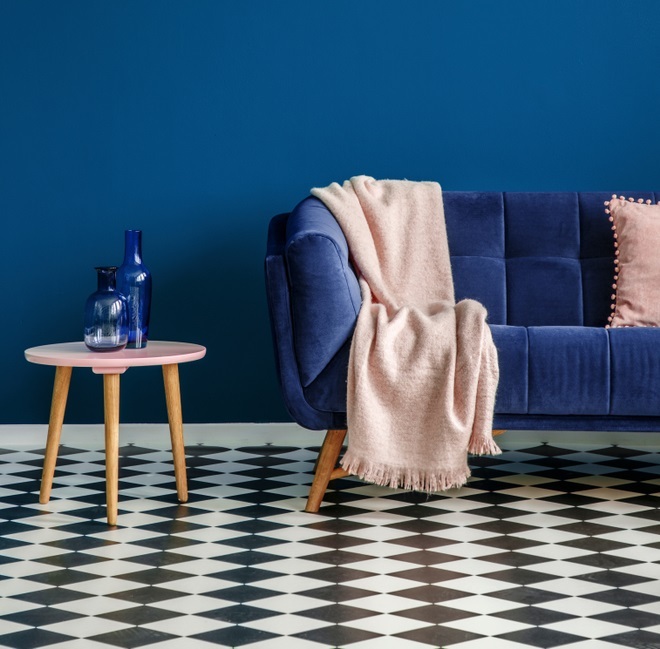 Navy blue, when decorated with millennial pink accents suddenly become soft and feminine. In this showroom, the designers threw a pink blanket and throw pillow on a velvet blue chair sitting in front of a navy blue wall. The dusty pink elements stand out against the cool blue shade. At the same time, the pinks give warmth to the blues. If you’re going to do something similar in your home, think about adding more earthy elements in the room. 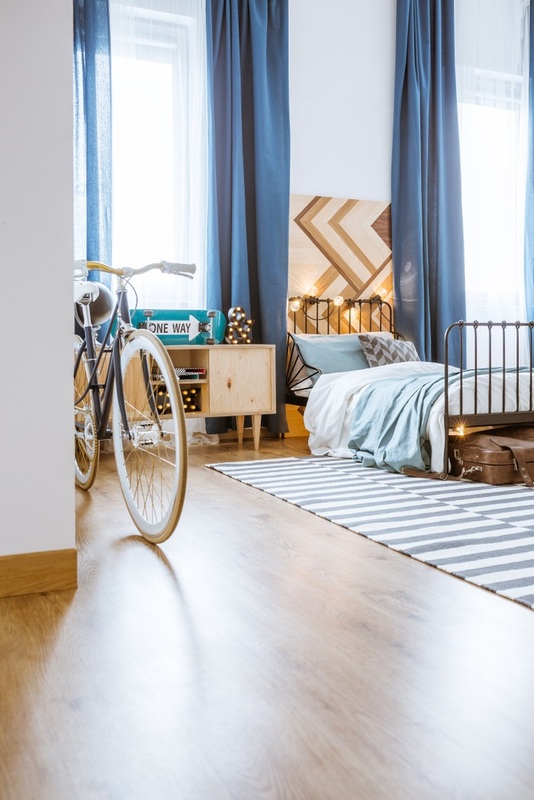 Wooden floors and furniture pieces will give more depth to this scheme. Not a minimalist? Then, a navy blue wall might work well in your home. 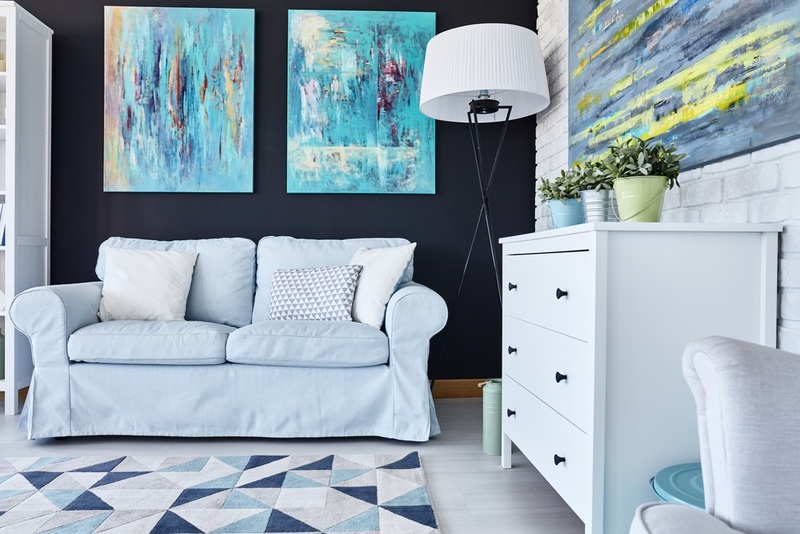 In this cozy living room, the designers painted the walls with navy blue and it turned out as a great background of the artwork and decorations. They positioned every item properly so the displays don’t look crowded. 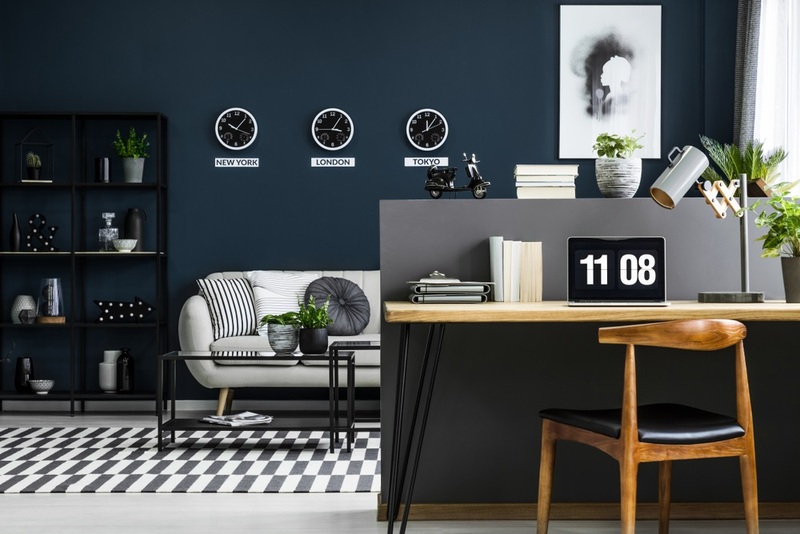 The dark blue walls as a backdrop, ground everything and ensure cohesive interiors. One way to bring out the beauty of dark walls is to introduce luxurious materials. 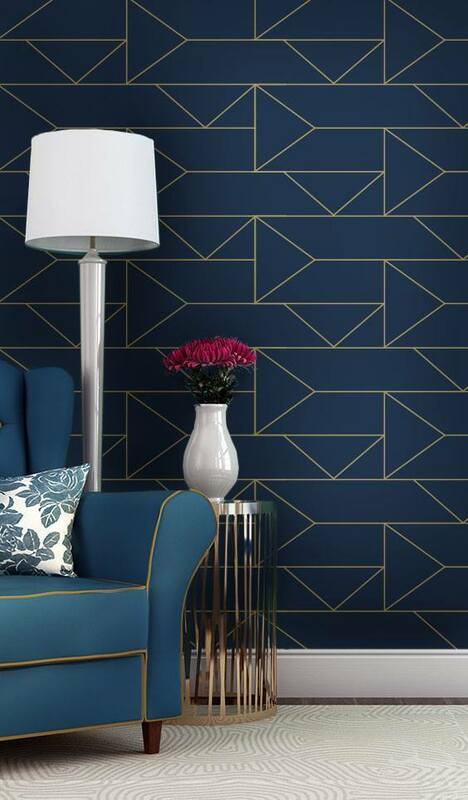 Here, the designers painted the room with dark navy and adorned it with golden decorations. Shiny black metal accents suit in here too. Lastly, the plush furniture conveys comfort. Test the waters first. Introduce the colours in a few soft furnishings before you commit to painting. In this bedroom, the designer used a tactile navy blue rug and blanket that look well together in the room. Instead of painting the room solid, the designer tried the ombre painting technique. In this bright white living room, the designers hung floor-to-ceiling drapes. When closed, these form a wall of dark blue. It is the only navy blue element in the space, it’s huge, so it stands out. Need an architect? Find an architect near Brisbane.